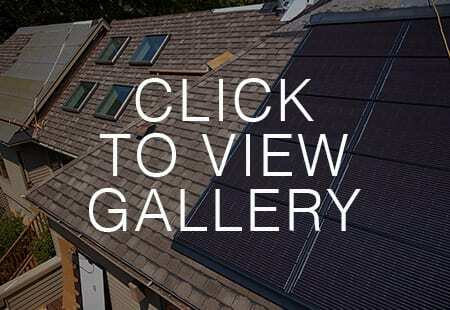 Introducing the GAF DecoTech™ Roof-Integrated Solar System. This low-profile solar system is sleek, attractive, and affordable, and is designed to provide a low-profile alternative to typical rack-mounted solar panels. The panels are installed directly to the roof with a proprietary frame that GAF developed, skipping conventional metal racks that keep panels elevated above the roof surface and require installers to drive fasteners through roofing shingles. Its unique fastening mechanism and flashed perimeter maintain the integrity of the roof and help protect against moisture and leaks. We’re proud to be certified as a GAF Solar Elite Contractor, one of only a small handful in the nation. 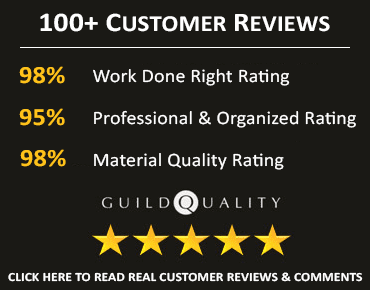 As a GAF Solar Elite Contractor, we are not only trained solar contractors but also factory-certified roofing contractors. This means that we are experts in both roof and solar installation, and we are committed to professionally installing your solar system while providing you with exceptional service and communication throughout the project. When it comes to lowering energy bills and increasing your home’s value, a GAF Solar installation by American Home Contractors makes good financial sense. The GAF DecoTech Solar System maintains the integrity of your roof, as it integrates right into your roof instead of sitting on top of it. One of the biggest ways the DecoTech Solar System stands apart from conventional systems is its low profile design. Beautiful – The sleek low profile back panels blend into your roof and conceals any wires, metal frame, and waterproofing elements. Affordable – It is competitively priced against other rack-mounted solar systems. Protects – The perimeter protection system reduces the risk of water leaks. Peace of Mind – It comes with a 25-year limited warranty coverage for leaks and solar performance. Reduces Infestation Risk – It reduces the potential for debris or animals to get in under your system. Typical rack-mounted solar systems are often clunky and unattractive, with panels elevated on racks above your shingles. 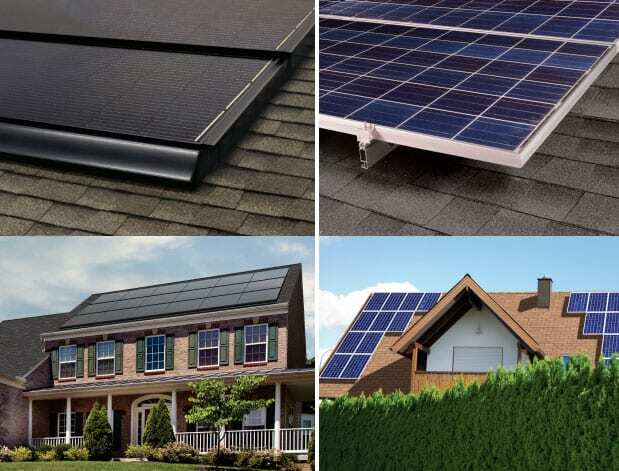 But the DecoTech Solar System is integrated into your roof—giving you a sleek, low-profile look, with less chance for pests or water to get under your system. There are many reasons why going solar makes sense. Energy costs are constantly on the rise, and rather than being at the mercy of things that are outside of your control, solar allows you to take matters into your own hands and ensure that your home can be powered by the natural energy that comes from the sun. Financial Savings – Solar panels may be able to save you up to 80% on your utility bills*. 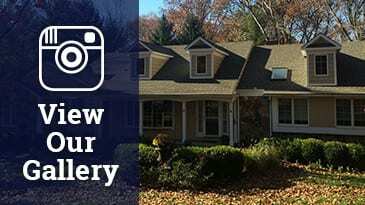 Increased Home Value – When you go to sell your home, solar panels are a large selling point and will increase the resale value. Tax Credits and Incentives – The 30% federal government tax credit, as well as state government and local utility company incentives can help homeowners pay off your solar investment in just a few years. Security – Energy rates fluctuate regularly, but the costs of solar stay the same each month, meaning you know exactly what to expect each month. Environmental Effects – Solar is a clean, efficient, and sustainable form of energy, which will lower your carbon footprint. * Actual electricity bill savings will depend on your energy usage, region, utility company, effects of tiered pricing, electricity pricing regulations, and various other factors. Consult us for more details. We recently completed one of the biggest GAF Solar installation projects in New Jersey. This huge 64 panel (285 watts each) system cost nearly $80,000, however, with utility cost savings, federal tax credits, and local and state incentives, these homeowners, will pay off this investment within 8 years, and save up to $146,000 by the 25th year. Here are the 4 steps to go solar with American Home Contractors. Home Assessment – We will complete a detailed assessment of your home, which includes a computerized shading analysis that allows us to fully assess your property’s conditions. We also complete a roof evaluation to ensure it’s ready for solar installation. Comprehensive Proposal – We will answer any questions you have and give you a comprehensive and customized solar solution, based on your site assessment and designed to fully optimize the performance of your solar system. Professional Installation – Our skilled team of professionals will create a plan around your needs. We will take care of all the details, from obtaining the necessary permits to processing your rebates and utility company incentives. We will even show you the simple process of monitoring the power production for yourself. Peace Of Mind – Once everything is in place and checked, your custom solar system will be turned on, and you’ll start generating clean, renewable solar electricity right away! Costs associated with solar have dropped dramatically in recent years, and financial incentives abound with federal, state and utility credits and rebates. Solar has never been more affordable than it is today. American Home Contractors offers understanding and experience in renewable solar energy for the New Jersey area. Our certified installers can ensure you receive a professional solar installation and stress-free experience. For a customized solar assessment and information about solar solutions, please contact us today at (908) 771-0123 or click here for a free consultation.